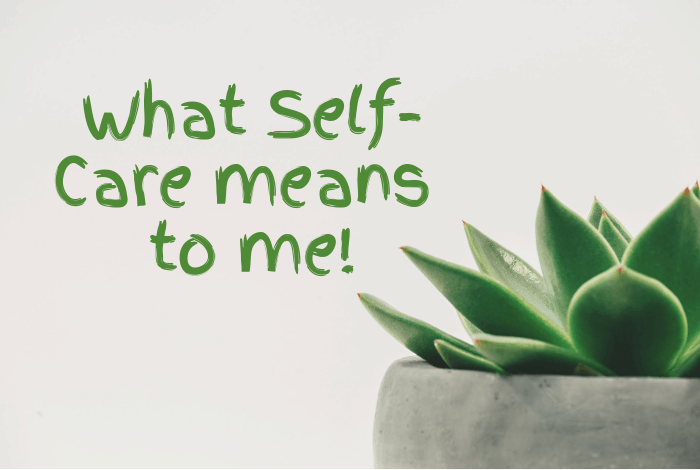 What Self-Care means to me…. Self-care seems to be a bit of a buzz word lately so I thought I’d take a few minutes to share what self-care means to me. Before I do though, let me get you up to speed with the last twelve months of my life in case you’ve missed all the drama so you know exactly why self-care is so important to me personally. First off, my Dad passed away last March after a very difficult six months and then we had a near miss with Master Frugal who got quite poorly in September and spent almost a week in the hospital. Both events almost had me on my knees processing everything that happened and made me completely re-evaluate everything in my life. I then had a huge change in my job role which wasn’t a bad thing (although I don’t love the extra commute every day) but definitely meant more big life changes to consider. All of this has meant that my life’s been turned upside down in the last twelve months and at times, I’ve had to work really hard to keep my head up. That’s why self-care is so important to me! 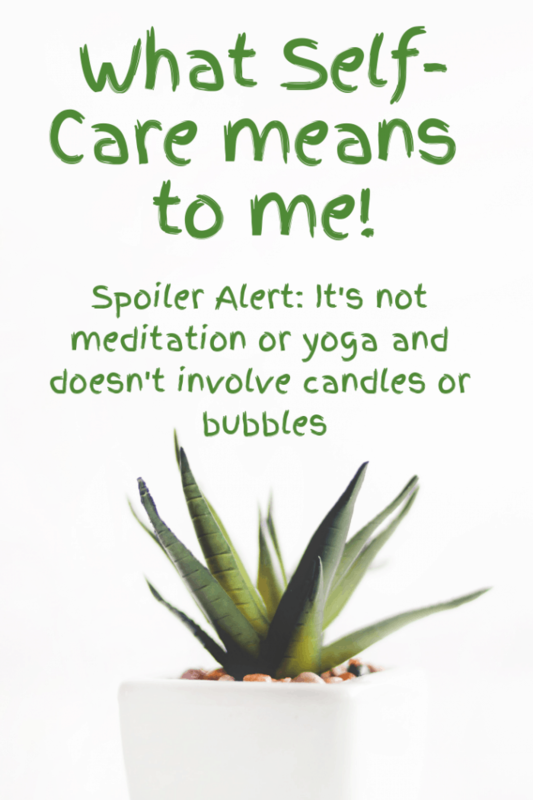 To me though, self-care isn’t about yoga or meditation and it doesn’t have to involve relaxing music, candles or anything particularly deep and meaningful. It’s simply doing things that I enjoy just because I want to do them without letting myself feel guilty or selfish for doing so. It means accepting that I can’t do everything for everyone and that demanding (in a nice way) that sometimes, people do things for me. And that’s meant changing the way we do things in our house. So these days I don’t always come in from work and start cooking tea. I’ll plan our week’s meal plan so that everyone else can get involved with the cooking and has responsibility for at least one night a week – fajitas are Miss Frugal’s speciality and I know that she’ll be able to crack on with that and get them made for everyone without any involvement from me. I’ll also spend a couple of hours once a month having a bit of a batch cooking session in the kitchen so my freezer is full of meals that are ready to get out the night before and just be reheated. The meal prep for these meals might be done by me alone or I might get some help from the rest of the family but either way, it’s something I enjoy doing because I know I’m doing it to make my life easier. Both of these are examples of self-care to me because I’m making deliberate plans for something that’s going to benefit me by giving me some time back in my day. I might not do something specific with the time and sometimes, I might just sit at the dining room table and chat to whoever is cooking, often getting up to help but even so, it’s still making a big difference to me because I’ve let go of the responsibility for that task. Slimming World – in the past, I’ve tried to go it alone following the Slimming World plan because I didn’t want to pay the money each week and give up the time for the meetings. Realising that Slimming World was necessary for my own self-care was a big thing for me and yes, I know lots of people lose weight successfully on their own but this is something I wanted to do and now I let myself do it without giving it a second thought. I still try to create every day in some way because that makes me happy even when the results aren’t all that good. I have a slightly longer commute to work than I used to these days so I’ve loaded my music playlist up with all the songs I love to listen to. Anyone looking at my playlist would think I was mad because it varies from cheesy oldies to songs in the charts now but I’ve called it my happy playlist because I love every song on there so listening to it makes me happy. I actually enjoy my drive to work because I have my happy music to listen to. For my drive home, I sometimes listen to my happy playlist but I usually use that time to listen to an audiobook or a podcast which helps me enjoy my drive home. I don’t love the longer journey I have now but I’ve made that time into me-time which has definitely helped me get used to it. I switch off social media frequently! Last week I didn’t post on Instagram at all which is unlike me because that’s my favourite place on the internet. There was no dramatic reason behind why I didn’t post anything, just that I didn’t feel like it and when I came back to it, it was simply because I did feel like it. In the past, I would have gone ahead and posted something anyway and not enjoyed doing it but now, I just step back until I want to come back to it. I love travelling and have had some amazing trips over the last few years for which I’m super thankful for. It’s not just the travelling though, I love watching and reading about other people’s experiences when they’re travelling. There are some great travel blogs and travel vloggers who I enjoy following even though there are probably much more productive things that I could be doing with my time. I enjoy it so I do it! I’m much happier since I started to take better care of myself which is not only good for me but also for those around me. So don’t forget, self-care isn’t all meditation and candles, it’s anything you do deliberately to develop, protect, maintain and improve your health, wellbeing or wellness. You do what you need to do to be happy and healthy! 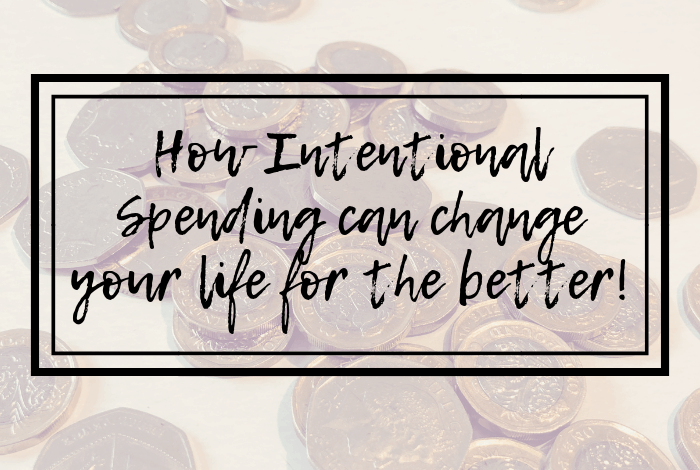 How Intentional Spending can change your life….